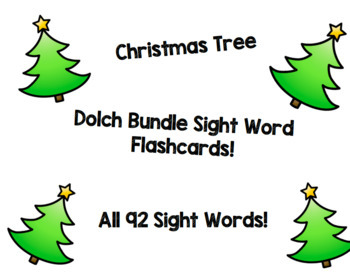 Christmas Tree Dolch Pre-Primer & Primer Sight Word Flashcards BUNDLE! 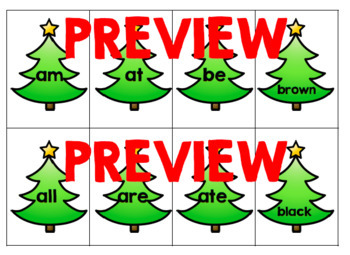 Bring some holiday spirit into your classroom and spruce up your boring sight word flashcards with some Christmas tree flashcards! This BUNDLE includes all 40 Pre-Primer and 52 Primer Sight words.